MyAnisha ™ Face Cream, available in two concentrations, is a real “cosmetic factory”: it will take care of your skin, restoring wellbeing and protecting the contour. The MyAnisha ™ Face Cream is especially indicated for dry and dehydrated skin, in addition to giving back elasticity and brightness to your skin, it will help you fight the signs of passing time such as wrinkles, stretch marks or those annoying spots that naturally form on the skin; moreover it can be used against dermatological problems such as acne, scars and burns. 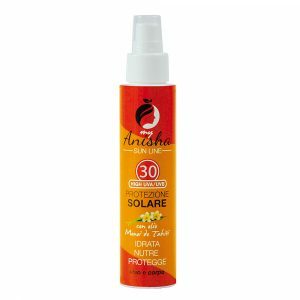 A versatile and unique product that will help you rehydrate your skin thus ensuring the reduction of inflammation, thanks to its antiviral and antibacterial action, and promoting tanning. 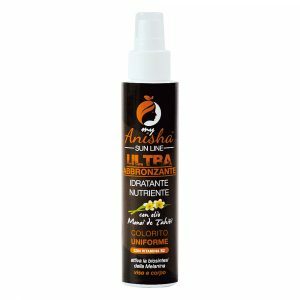 A moisturizing formula with added Hyaluronic Acid, Coenzyme Q-10 and Aloe Vera in addition to the properties of Snail slime will make the benefits immediate. Helix aspersa muller extract: the beating heart of the cream, as it is the natural extract that comes directly from the mollusc. It is rich in mucopolysaccharides, essential to guarantee a regenerating, nourishing, purifying and exfoliating action to the skin. Ubiquinone: it’s known as Coenzyme Q10. It has an anti-aging action fighting free radicals; it is an antioxidant and prevents lipid and protein peroxidation. Just like Vitamin C, Coenzyme Q10 has the ability to regenerate vitamin E.
Acido Ialuronico: thanks to its hydrophilic nature, hyaluronic acid is used as a cutaneotanto hydrant which, when applied to the skin, creates a thin film that guarantees hydration and makes it smooth. Its micro molecules are able to penetrate under the skin layer giving new turgidity to the tissues and elasticity. Aloe vera: it’s a plant widely used in the field of cosmetics and not only, thanks to its moisturizing, anti-bacterial, healing and detoxifying actions given by the complex synergy of its components such as sugars, mineral salts, organic acids, phospholipids.